The programme will run for 7 months within the academic year from Jan 2019 to July 2019. Applications to the mentoring programme run from 01 September 2018 to the 20 December 2018 – Please note that we currently have more applications for mentees than we have mentors. You are welcomed to apply but will be put on a waiting list pending mentors coming forward. There is an open day on the 20th October 2018 in London (central) for those that are interested in mentoring or being mentored to ask questions and meet others that have been involved in the programme. New mentors will be enrolled through a one to one induction meeting, either face to face or via phone/Skype. Early January, those that have made applications will be matched with their mentors based on the application preferences and soon after the matches will be introduced to each other. A team of 4 therapists run the programme on a voluntary basis. This is a programme that has been set up and is run by volunteers and survives through membership fees, donations and crowdfunding. Applications to the EOTO mentoring programme will close on the 20th December 2018. Unfortunately we cannot accept late applications. If you need support with training issues select the ‘Other Support for Students‘ tab above. Matching The mentoring programme will pair mentees with an experienced therapist who has successfully navigated their way through the challenging and demanding training process and survived to tell the tale. On your application, you can express your preference about matching, for example, gender, ethnicity and theoretical orientation etc. We will also look to match you with a mentor who is near your geographical area. On your application, you can also tell us other areas that are important to you so that we can look to offer you the best possible match. Once we have your details, we will access our database of mentors in your area and match the closest mentor to your profile. While we make every effort to match as closely as possible, we ask that you be understanding and flexible in this regard. Mentoring can be an enriching relationship for both parties, where one more experienced person (Mentor) shares their knowledge, skills, information, insights and life experience with another less experienced person (Mentee), in order to create growth through personal and professional development, problem-solving and discussion of issues to reach the specific goals of the Mentee using constructive feedback. However, the success of this relationship depends on the communication, commitment and participation of both the Mentor and the Mentee in a confidential space. Teacher/Advisor Role – to share knowledge, the wisdom behind mistakes and explain in detail what is expected from the Mentee. This role requires the Mentor to develop realistic career goals with the Mentee and make an action plan of areas to develop. Problem Solver Role – referring the Mentee to resources, answering questions in an open, respectful way and offering other options and opportunities where available. By creating new opportunities with a minimum of risks the Mentee should not be able to fail, so not affecting their self-esteem in a detrimental way. Be guided by your Mentee to know when these opportunities will be helpful, or a hindrance. Motivator Role – giving encouragement, positive feedback and support to the Mentee during challenging times and during specific tasks to generate inner drive and act as a morale booster to the Mentee’s self-esteem. Being reliable and consistent is vital to Mentees, so Mentors should be clear from the start about their availability to the Mentee, to ensure clear boundaries and to reduce misunderstandings. A Mentee who has this open door policy is more likely to ask questions, seek guidance and feel supported. 1. Does the Mentee have the capacity to do the task/job? 2. Is coaching likely to upgrade the Mentee’s skills? 3. Is there sufficient time to coach? If you know how to provide feedback, then the role of the coach is much easier to perform. 1. Make sure that the feedback is frequent and useful to the Mentee to give a clear understanding of the progress made so far. 3. Make the feedback specific- how, when and why. 4. Give direct feedback on what you have observed. 1. Be specific as to what the Mentee wishes to achieve, but remain flexible in case of change. 2. Make goals that can be time- framed and limited in number. 3. Ensure that meetings are results orientated, concentrating on the results obtained not the activity it takes to get there. 4. Make the goals realistic and relevant. 5. Make the goals achievable. Supportive – supporting the needs of the Mentee through adversity and challenge. Ability to be Patient – commitment of the Mentor to spend time with the Mentee performing mentoring responsibilities. Respected– Giving the Mentee a positive role model by showing real-life examples of values and ethics in professional practice. Learning by example is the most effective tool a Mentor has, allowing the Mentee to observe how the Mentor handles situations and interact with others. For this reason, it is vital that all Mentors strive for high professional standards of professionalism, solid work ethics and a positive attitude. Mentees can be anyone who wants to achieve their goals beyond their current position, using the opportunities provided by the Mentor. Mentees are bright and motivated individuals who can vary in age, gender and work or training experience. Learners who wish to learn new skills, insights and abilities. Decision Makers who take charge of their own education. Initiators who are willing to explore and challenge new initiatives. Risk Takers in exposing themselves to a Mentor to challenge adversity and learn new ways of knowing and understanding. Goal Setters who set their own goals and take steps to succeed. – Give appropriate eye contact in a respectful way. – Make the Mentee feel comfortable to ensure trust is built. – Use hand or facial gestures to show enthusiasm and smile often to show reassurance. – Use open body language leaning forward to show interest. – Be power aware in spaces so ensuring that desks and chairs are not acting as barriers between you. – Ensure personal space is maintained between the Mentor and Mentee. – Allow time for the Mentee to process information and solve their own problems before seeking help. – Make the relationship fun! Inequality of access for black, Asian and minority ethnic [BAME] communities is a well-recognised reality for many psychological therapy services, and the insensitivity of UK mental health services to ethnic diversity is an enduring problem. Having more therapists from BAME communities in the therapy profession could go some way to address this inequality; however, there is a low percentage of BAME therapists in the profession compared to the general BAME population. One reason is that while BAME individuals are starting psychotherapy and counselling training courses, they frequently drop out. 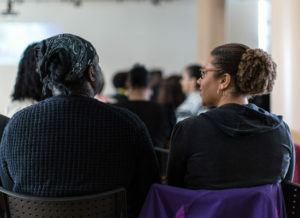 Living in a racialised world significantly impacts the identity of BAME people, and often trainings are just not flexible enough to meet BME people where they are emotionally or theoretically. This can lead to frustration, disillusionment and then disengagement. We are addressing this drop out rate through a mentoring program called Each One Teach One. This programme will support and nurture Black, African, Asian and Caribbean trainees to stay in their training and make their contribution to the therapy profession and the mental health of the UK. Preconceived stereotypes regarding Black, African and Asian people generally. Mentor – Volunteer Expectations and Commitments Please note that we currently have more applications for mentees than we have mentors. You are welcomed to apply but will be put on a waiting list pending mentors coming forward. The five therapists below are volunteering their time to support the mentoring programme and support matched mentors and mentees through the programme. 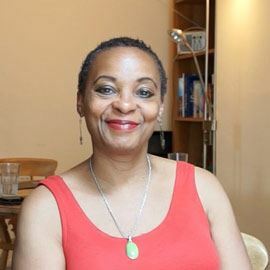 Sheila Hicks Balgobin MBACP, IFPA, BFVEA – EOTO Programme administrator Sheila is a Jungian and psychodynamic psychotherapist, Reiki teacher, qualified aromatherapist and an advanced flower essence practitioner. She promotes therapeutic healing through the use of Reiki, aromatherapy and flower essences. Central to Sheila’s premise is her unique understanding and belief in the power of the body’s own healing mechanisms and the natural healing power harnessed within flowers. Sheila’s clients are supported to recognise and face emotional issues underlying physical and mental distress through her use of the three mediums, with Sheila directing a sensitive exploration to remove blocks and promote healing. Sheila specialises in addictions, bereavement, cross-cultural work and spirituality. 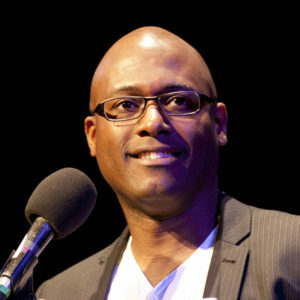 Eugene Ellis – EOTO Team Lead Eugene Ellis is an Integrative Arts Psychotherapist and the founder of The Black and Asian Therapists Network (BAATN). He has worked for many years as a child, adult and family therapist and currently works for Family Futures (an organisation that works with adopted and fostered children and their families) as well as working in private practice. Eugene has a special interest in facilitating a dialogue around race and culture in organisations and psychotherapy trainings. Chamari Leelasena – EOTO Coordinator BACP Registered & Accredited Psychotherapist/ Clinical Supervisor/ Mentor. Core approach is Person centred with Psychodynamic and CBT approaches incorporated. Also qualified in providing EMDR (Eye Movements Desensitisation Reprocessing) therapy. 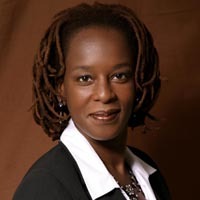 Dr Yetunde Ade-Serrano – EOTO Coordinator Yetunde is a HCPC Registered Counselling Psychologist. She works with children, young adults and adults with a wide range of mental health issues including severe Anxiety and Depression. She has been extensive experience and training of using CBT, Person Centred, Psychodynamic, Systemic, Personal Construct and Solution Focussed Therapies. Yetunde’s thesis explored the self-definitions and individuality of black professional women and has a special interest in the area of diversity in the work place. Her other research interests include self-identity, inherent motivation for growth and trauma and resilience. Yetunde work is integrative using a number of therapeutic approaches that enable sessions to be tailored to the needs of individual clients. Yetunde is also able to assess individuals’ level of risk and has provided reports to the court. In last year’s programme, 19 mentors were supporting 23 counsellors, psychotherapists and counselling psychologists to navigate their way through the issues that came up for them in their training courses. The feedback and comments were overall very positive with both mentees and mentors expressing appreciation for being part of the programme. Below are the survey results for the mentors and the mentee in more detail. I got in touch with you around the end of 2016 when I was in the process of looking for a placement. You encouraged me to write on the BAATN site expressing what my needs were. One of your members contacted me. He has been supportive from placement, into transition, and now into setting up private practice, offering advice and cautions at each sharp turn. It is no exaggeration to say that both training, and transitional work have tested my resolve, my awareness and compassion in ways that I could not have anticipated, and consequently, I have grown beyond anything I could have envisioned. Before I contacted BAATN I was a bit lost, and blocked and had a number of incomplete components for my course with time running out. My final project proposal had been rejected twice and it felt like a major obstacle I had little strength to tackle again. The work that I have done with [my mentor] has helped me deeply, I knew I could work with him after the first day I made contact with him he called me at 9pm that evening and we chatted for about an hour. I’ve found [my mentor] to be very gifted spiritually, caring, attentive, insightful, encouraging and honest about what he himself may struggle with.I could not have been matched up with a better fit and it has helped me tremendously. After about 2-3 months of our work together, [my mentor] gave me some useful tips to help me process more of my early younger trauma, suggesting I start to journal. I resisted and ‘avoided’ for a while but realised that having [my mentor] there meant I was now supported by someone who understands my uniqueness and is not threatened by it. I realised that throughout the 5 years of my time studying, I had NEVER read anything around attachment theory – a blind spot I never even thought about. So I started to read about it and it quickly became clear that the things I struggle with personally are due to my own attachment issues. I was then able to use this learning to create a new premise for my project proposal and designed a whole new project with [my mentor’s] assistance. I managed to hand in my proposal last week and have already had it marked and the feedback is so positive and encouraging. The marker even states that ‘She was touched by the amount of work I have done on myself to inform my project proposal’. Well I can’t afford to be in therapy right now, so that work on myself is credit to [my mentor] and I am so grateful. Thank you to you both, I’m so pleased and glad I found the network and this scheme because I just could not have met the challenge alone, and this is why I now see the benefit in coming together and not being in isolation. I’m now so motivated, I have just finished the additional work for the marker and have typed 4 pages ready to hand in later this evening in a day. I hope the mentoring scheme is proving as fruitful for others as it has been for me.